We could write for hundreds of pages about all there is to see and do in Krakow without getting to the bottom of the list. 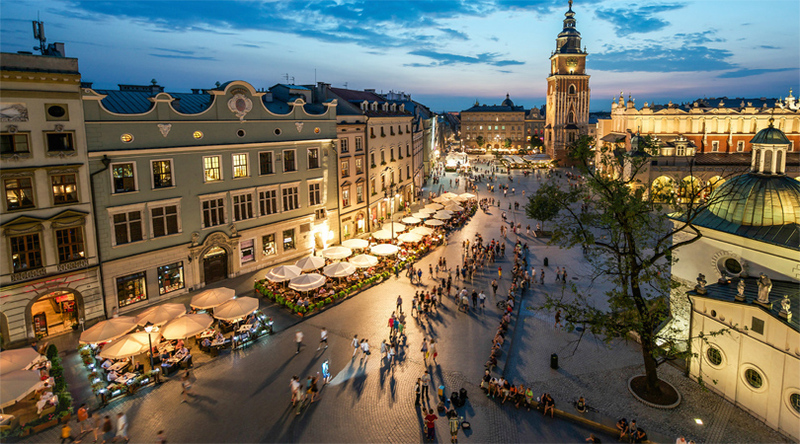 There aren’t too many places in Poland that can even begin to compare with Krakow when it comes to the number and class of sites, museums and other attractions for tourists. Millions of visitors from all over Poland and around the world come here to discover it for themselves and there is something here for everyone. But where do you even start in a city that has so much to offer? Here are a few ideas for planning a trip based on certain interesting themes. It’s understandable when someone comes to a city like Krakow, that they fall victim to “tourist greed”, when we try to convince ourselves that we can see and do everything during a relatively short stay. It’s hard to accept the fact that we can’t visit every place on the map that looks interesting to us. Instead, we set a break-neck pace and try the “more is better” approach, cramming in as many stops as possible while not always really appreciating what we’re seeing because we’re busy thinking about the next stop. Our experience in dealing with tourists has taught us that it’s better to take a different approach. When putting together a sightseeing plan, it’s a better idea to concentrate on a particular aspect of the city as in the example that will follow in a moment. You may only focus on one part of what’s out there but it will offer a deeper, more comprehensive understanding that will allow you to truly appreciate the topic and take more away with you as a result. You gain the time and opportunity to reflect on what you’re seeing and isn’t relaxing and learning something new what travelling is all about? It’s hard to question the idea behind thematic city tours but maybe the best argument is that it leaves new themes to be planned for your next visit! Things to do in Krakow? Start out by going waaaaay back! There are, of course, several places in Krakow that must be part of anyone’s visit. it’s impossible to imagine anyone skipping the Old Town, Wawel Castle and Kazimierz. This is where you will find the sites and structures that form the earliest chapter in the history of the city. Discovering the distant past is a great point of departure for understanding present day Krakow and the form that the city has today. Depending on how much time you have, you can choose a path that includes places where you can spend more time to learn about them in more detail. Any list of such places must incude St. Mary’s Church and its famous altar by the master Wit Stwosz, the Cathedral on Wawel Hill and its royal tombs as well as Kazimierz with its stunning gothic Corpus Christi church and synagogues. A recent addition to the list of “musts” is the Underground Museum in the main square. 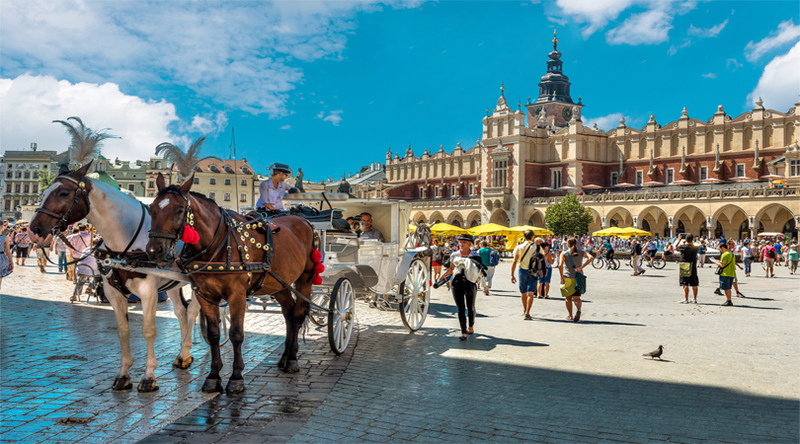 If your time budget allows, a visit to the Archaeological Museum or the Historical Museum of the City of Krakow will give you a peek into Krakow’s past and the city it was during the Middle Ages. A trip just outside the city to Tyniec or the salt mines at Wieliczka are great ways to get off the beaten path and gain more insights into Krakow’s distant origins. 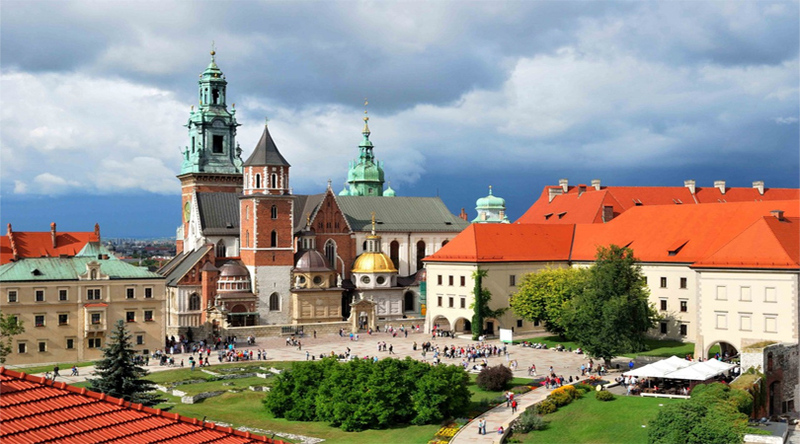 There are lots of things to do in Krakow around which any stay in Krakow can be organized. One of the most popular is a focus on the history of the Jewish community in Krakow, which will take you through Kazimierz and then across the river to Podgorze and the area of the former ghetto. The story of Oscar Schindler also fits neatly into this plan and many of the sites associated with him and the film he inspired are located in Krakow. The site of his factory was recently transformed into a museum that chronicles what happened in Krakow during the war and it has quickly become one of Krakow’s most popular attractions. Another popular theme is Krakow’s art history. The Cloth Hall in the main square is the obvious place to start on this path, followed by visits to the homes of Matejko and Mehoffer. Add visits to the National Museum and street art around the city and you have the makings of a fantastic trip. Or maybe you’re more interested in sites associated with Pope John Paul II? Or maybe a trip into the socialist-realist world of Nowa Huta? The list goes on…. Thematic trips around Krakow are a great idea both for solo travellers as well as families or even larger groups. Learn more about what there is to see and do at http://guide-krakow.com/things-to-do-in-krakow/.